The SuperWeed is da fin. 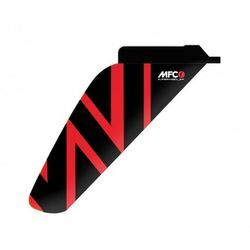 It’s a recreational cruising fin with a profile that comes from our racing fins allowing maximum speed and tracking, but with a rake pulled back to also allow easy handling in sea-grass spots and shallow waters. Extremely easy to maneuver, this fin is built in RTM Technology. Famous Riders as Kai Lenny, Kody Kerbox, Bernd Roediger, etc.